Whole Food Plant-Based Recipes. No Oil. No Sugar. Simple and Clean. My vegan blueberry beet muffins have been waiting very patiently to get up on the blog. I created this recipe already in the beginning of January, but only now have I had the chance to share it with you. 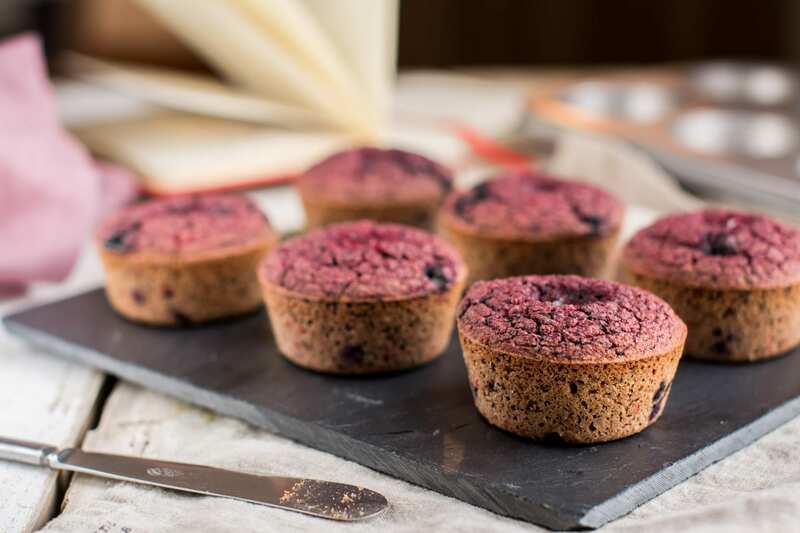 I like to use raw beetroot in my vegan blueberry beet muffins – I just blend it along with other ingredients giving the batter a beautiful vibrant colour. As it comes to grains, I use my two favourites – raw buckwheat and oats (oat bran + gluten-free jumbo oats). Oat bran has been a great discovery since I started vegan Candida diet. Be aware of not eating too much of it though, as you might end up with too much fibre in your system. 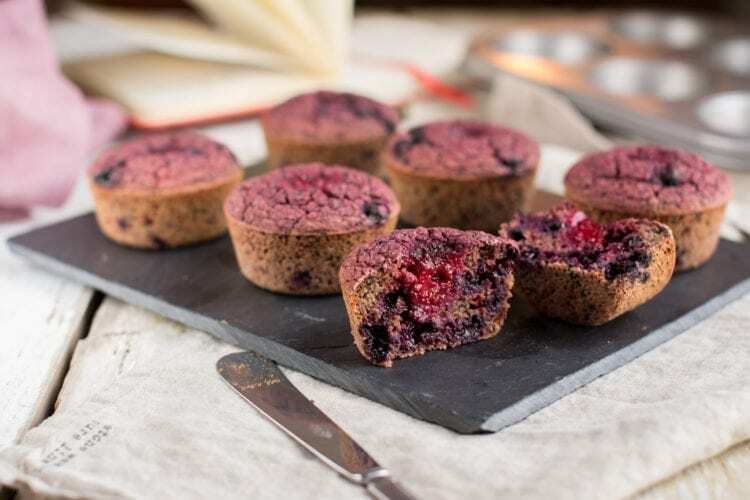 Those vegan blueberry beet muffins are a lighter version of my also Candida diet friendly and gluten-free Chocolaty Beet Carrot Muffins. Try those out as well! I offered them to my first 5-Day Whole Food Plant-Based Meal Delivery group and everyone loved them! Should you still be on Candida cleanse enjoy my Vegan Zucchini Muffins, which was my first vegan Candida diet friendly muffin recipe. Needless to say, my vegan blueberry beet muffins are plant-based, refined sugar free, gluten-free (if you tolerate avenin in oats), oil-free and vegan Candida diet friendly (unless you’re on cleanse). Soak buckwheat groats overnight, then rinse and drain. Heat oven to 175°C (350°F). 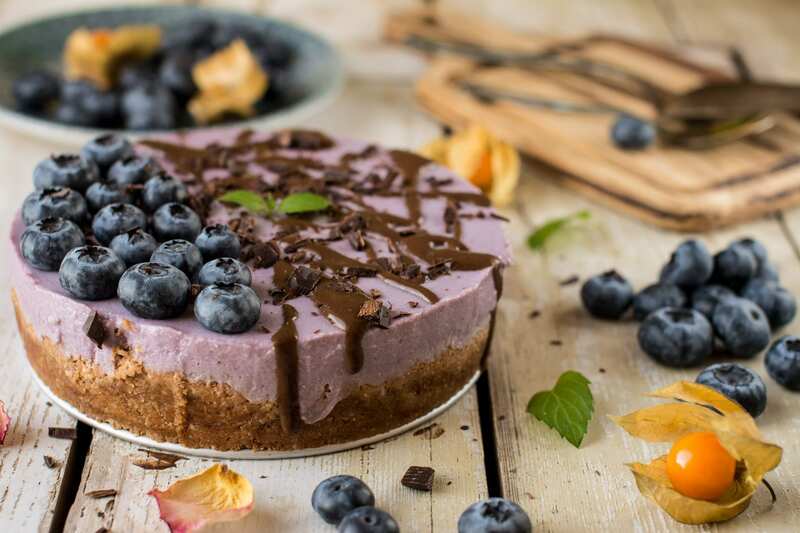 Put all ingredients, except the 40g of blueberries and cherries, into blender and blend into smooth batter. Finally mix in the 40g of blueberries. Divide the batter between 6 muffin forms. Press one cherry in the middle of each muffin. Bake in the middle rack for 33-34 minutes. Remove from oven and let cool. Should you not be on Candida diet, feel free to use any sweetener you like – agave syrup, coconut nectar, soft dates. If you still feel that the muffins need more sweetness, add more sweetener of choice. Make a double or triple batch and freeze the leftover muffins. Heat them up in the oven whenever needed. 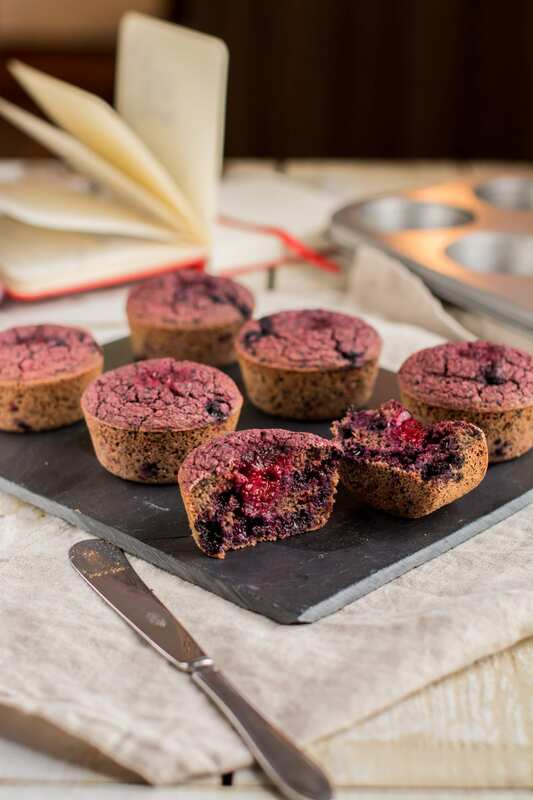 My vegan blueberry beet muffins make a great go-to snack. Is it possible to substitute the oat bran for rolled oats? Hi Nele. I don’t think you can buy jumbo oats here or not easily. Can I use regular old fashioned rolled oats? The only other thing I have seen is an oat called extra thick old fashioned rolled oats. And if regular old fashioned rolled oats is ok, would I still use 35g? Yes, regular rolled oats are just fine! Take the same weight! Btw Nele, are jumbo oats just a whole oat that is bigger and thicker than regular smaller rolled oats? It isn’t something they sell here so I was curious. Jumbo oats are just bigger than the smaller rolled oats — that’s the only difference really 🙂 They are not thicker. Both, jumbo oats and rolled oats are softened with steam and then flattened between rollers to make flakes. They start with whole oats in case of jumbos and with steel cut oats in case of rolled oats. I've been into healthy eating for many years, but developed a more profound interest in nutrition and related diseases when I started reading The China Study and other special books on nutrition. After being in real estate and hospitality business for more than 10 years I decided to totally change my path to spread the word about healthy and sustainable nutrition and lifestyle. I am also a Plant-Based Nutrition Certificate graduate from eCornell. 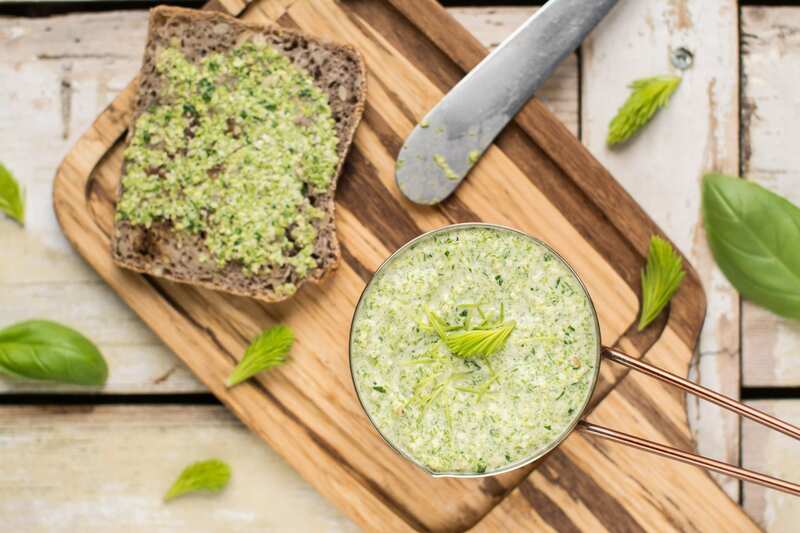 I hope you enjoy my whole food plant-based recipes and practical tips! Subscribe to my newsletter and receive updates and my new recipes in your inbox. Check your inbox or spam folder now to confirm your e-mail and subscription.